Incredibly powerful live chat. Simple, easy and fast. Driven by context and geared for convenience, HappyFox Chat adds a whole new perspective to live chat. Be it the widget or the app, your customer support team will discover an experience like never before. Gain actionable insights on customer behavior, find opportunities, personalize promotions and have better customer conversations. Persuading customers and seeking their permission to enter into a dialogue has never been this easy. A support experience that is focused, relevant and coherent. Feature packed. Live Chat Software. Everything you need to know about your customer is right at your fingertips, allowing you to focus on the conversation rather than searching! 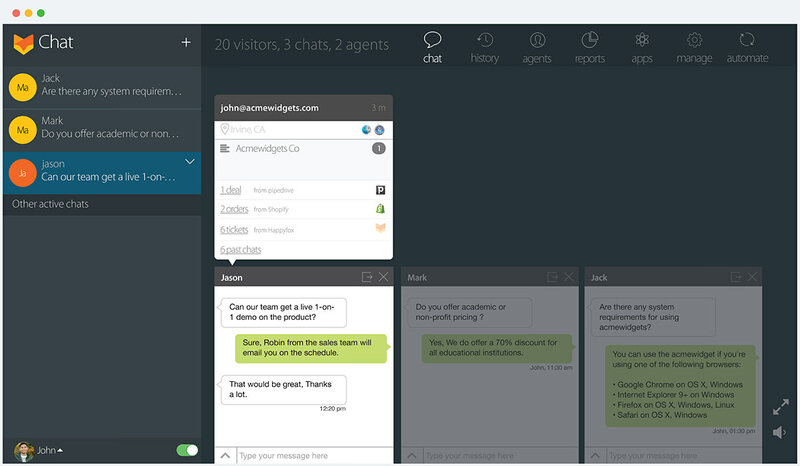 You and your agents will never have to leave the conversation to hunt for data. 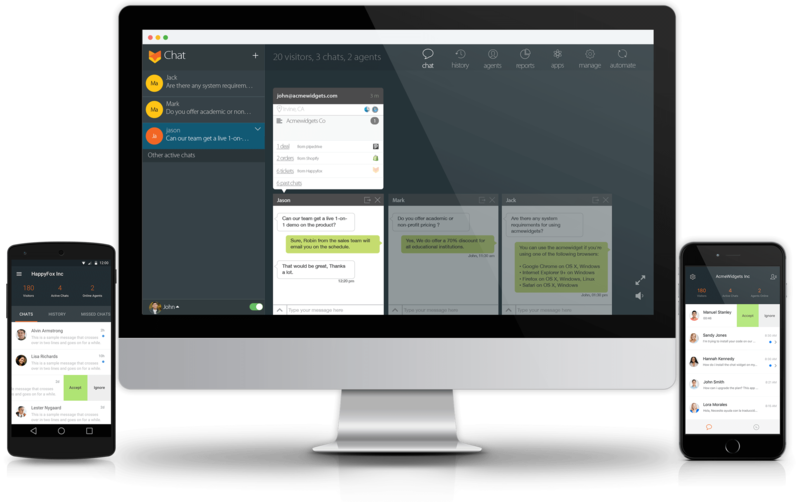 With our spiffy engineering and radically user-centric design, HappyFox Chat brings the data quickly and concisely to you. No switching tabs! Has this specific customer interacted with you before? Bring their entire history and interaction with you together in a snapshot. Be in the know. One glance at the mini-dashboard will give you all the insights into what's going on. Traffic, chat and agent stats that'll tell you everything to be in control. Be in touch with your customers wherever you go. 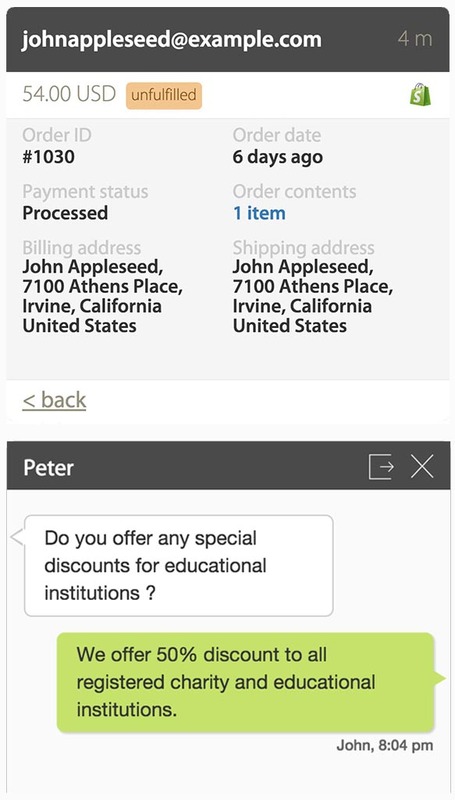 Native applications for Mac, Windows and Mobile make it easier for you to answer every customer's question! The UX is beautiful, and intuitive. It is incredibly easy to teach and train your staff how to use it. The free version was great, and allowed us to try out the product for as long as we wanted. It really is the very best chat app I've tried. By simply collecting an email to start the chat, they can tell you what the customer has in their existing cart, their order history, their chat history, and more. 25 Integrations & much more to come soon. 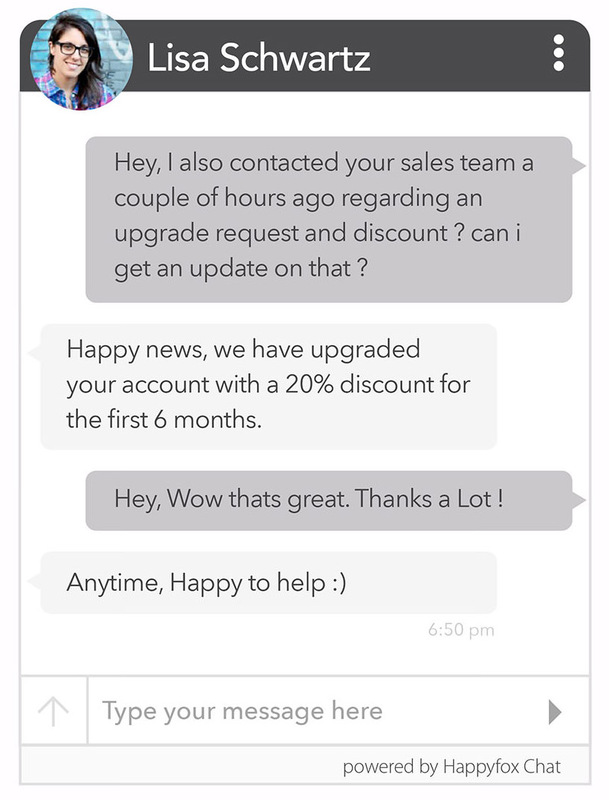 At HappyFox Chat, we’re on a journey to give our users all of the apps they’re already using! And if we don’t already have it, use our Apps to vote for what you need to tell us what’s a priority. 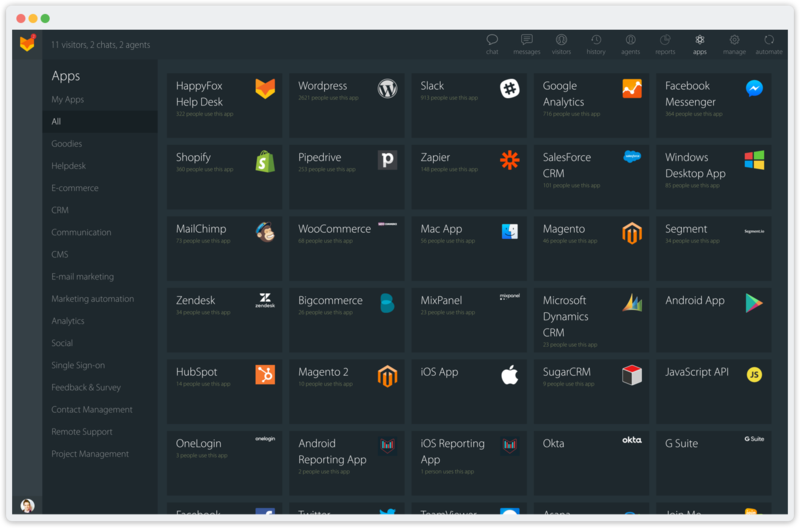 The fastest way to stay ahead - app integrations that aren't just surface level but deep. Get data from apps you already use, right within the chat window! More data, better you! Chat interface that is actually fun to use. With a unique user interface designed to let you work faster and easier, HappyFox Chat is that perfect mix of surprisingly sleek and stunningly simple.